An end of year celebration showcasing the best student project work involving creativity, technology and design is set to be held at City on Thursday 11th June. Made@City will bring together students, staff, and alumni, to exhibit some of the the innovative new products and technologies that City students have been working on over the past academic year. A photographic exhibition will portray a selection of innovative research taking place at City exploring topics as diverse as life expectancy, philanthropy and aerodynamics. City Unrulyversity, City’s pop-up university will be hosting a series of Tech Talks with academics from across the five schools. Attendees will also have the chance to vote for their favourite student project to choose the winner of Made@City 2015. Alex Elkins, Business Development Manager for the School of Mathematics, Computer Science & Engineering said: “We are delighted to be producing the 2015 edition of Made@City. It promises to be even bigger and better than it was last year, with more exhibitors and student projects showcasing the very best combination of technology, creativity and entrepreneurship at City. We are extremely excited to be presenting our first Images of Research gallery which will demonstrate the link between the research carried out at City and the real world in a new and unique way. We’re also teaming up with City Unrulyversity who will be offering a number of their excellent pop-up talks focussing on technology, entrepreneurship and creativity. In summary, it’s going to be awesome and offers something for everyone. More than forty students will be exhibiting at the event with projects including health and fitness apps, addictive computer games and data-driven social networks. “Through creating this project I’ve learnt how facial recognition works along with various programming techniques, including how to use the programming language C#. 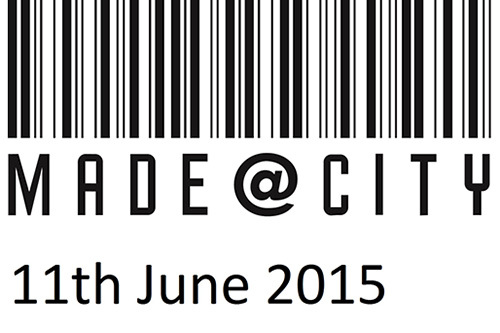 At Made@City I will be doing a live demo of the software. Visitors will be able to find out how facial recognition works and try out augmented reality, the next big thing in the tech world. Please register here for this free event, or get in touch with Christine Kemp (Christine.kemp@city.ac.uk) for more information. A process for making a physical object from a three-dimensional digital model, typically by laying down many successive thin layers of a material.